Applications are now open for Target 120, a Tasmanian Government-funded assistance program for King Island beef producers first announced in September. Tasmanian Minister for Primary Industries Bryan Green said the program, which will provide $1.24m over the next 12 months, would help farmers transport their cattle to mainland Tasmania for processing. “The closure of the JBS Australia abattoir was a big blow to the King Island economy and the community,” Mr. Green said in a media release. Mr. Green said they are working with farmers to help them boost their profitability and sustain beef production on the island for the long term. According to an ABC Rural report in September, King Island beef farmer Roger Clemmons first took the proposal to the state government in November last year. Mr. Clemmons said the closure of JBS abattoir on the island pushed freight cost to increase ten-fold. The group originally proposed a $60 subsidy over three years, but did not expect the government to put in the huge amount of money. King Island Mayor Greg Barratt said the subsidy package was a “significant announcement” for the whole island. 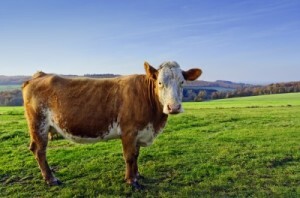 “It’ll put a million and a quarter dollars into the pockets of our beef producers which will flow into the community at large,” he said, quoted in the report. Farmers will be required to work with the Department of Primary Industries, Parks Water and Environment to improve productivity and increase profitability in order to be eligible for the funding. Application forms for Target 120 are now available from Service Tasmania in Currie, the King Island Council, or on the DPIPWE website.